Grappa is a uniquely Italian drink. Gio Italian Grill offers a variety of fine after-dinner spirits. Grappa, an Italian tradition, is one selection we think every Italian cuisine lover should try. Some consider it an acquired taste, but like most Italians, we LOVE it. Traditionally Grappa is made from pomace, the discarded grape seeds, stalks and stems that are a by-product of the winemaking process. It has a fruity nose (smell) and first taste. It is a strong spirit that, because of being distilled from the pomace, carries more intense flavors from the grapes. Sometimes considered an “acquired taste,” something popular only in Italy, it has become known around the world. An alcoholic beverage, Grappa contains 35%–60% alcohol by volume (70 to 120 US proof). It has been part of Italian culture since the Middle Ages, originally made in Bassano del Grappa, a town in Italy’s northern Veneto region. It is from here that Grappa gets its name. 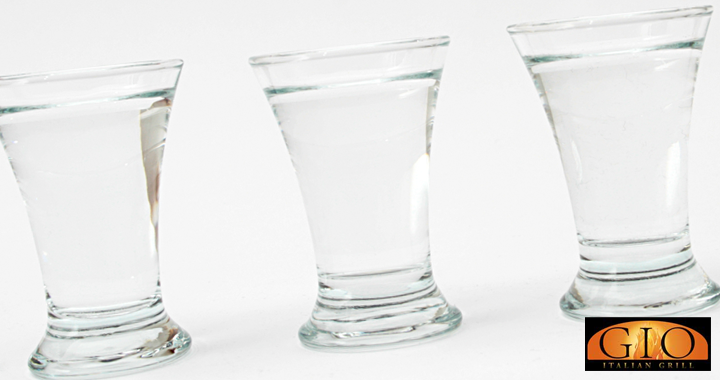 Traditionally, Grappa is served (at room temperature or chilled) in small glasses and enjoyed after the meal. Many Italians believe that it aids in digestion. Grappa should be swirled gently in the glass and then brought to your nose before tasting. It should then be tasted in small sips. If you’ve never tried it, you’re in for a treat. It’s a fiery, but tasty liquor, perfect for a cool winter night. Enjoy it while you sit at our bar or lean back and sip one after your meal. Gio proudly offers Mazzetti di Barbera & Sassicaia, made by one of the most prestigious grappa producers in Italy, as well as several other varieties. Ask your bartender or server about our fine selection or take a look at our bar menu. An authentic taste of Italy in the Lehigh Valley. Posted in Cin Cin and tagged bar, grappa, spirits.